As an engineer, you should demand software that is not only cost effective and easy to use, but with the power to model the toughest problem. 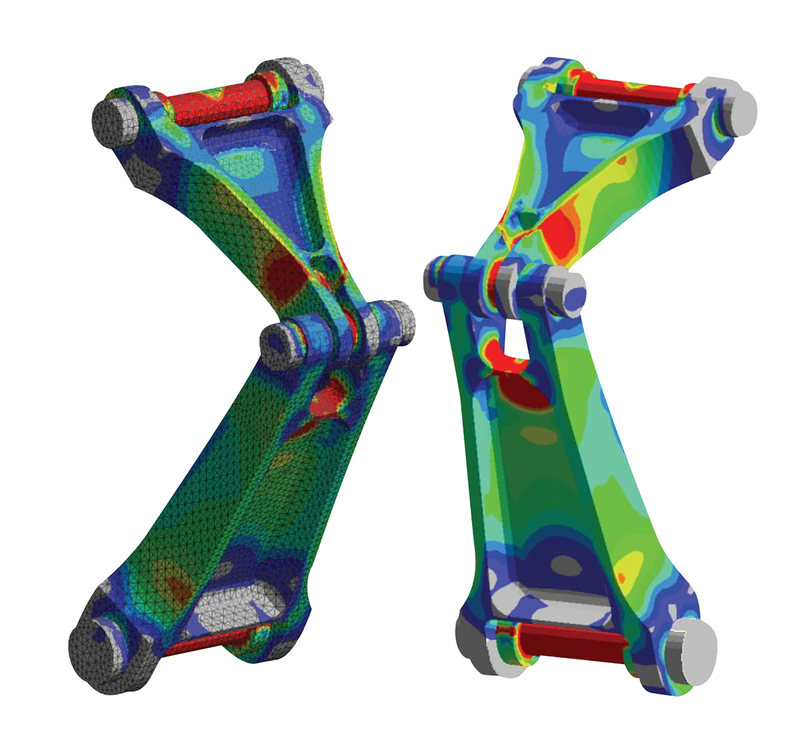 FEMAP delivers just that - affordable high performance FEA modeling. FEMAP is recognized as the world's leading CAD-independent Windows-native pre- and post- processor. 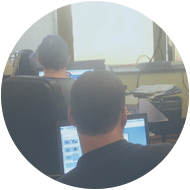 At Applied CAx, our FEA engineers have decades of combined experience. We truly strive to support our software clients to the best of our abilities. Therein lies the reason why Sierra Nevada Corporation, Zodiac Aerospace, and Austal among many others choose to be supported by our FEA team. Applied CAx is co-owned by working FEA consultants. 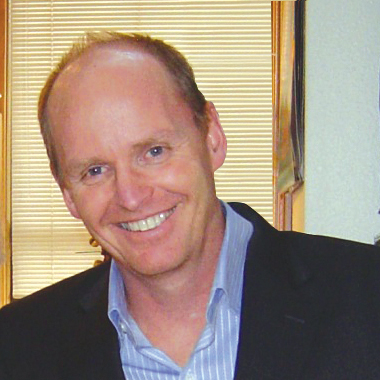 George Laird, PhD, and Adrian Jensen, PE, operate Predictive Engineering, bringing more than 20 years of finite element analysis experience in solving difficult analysis challenges. 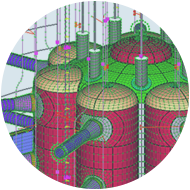 Our library of FEMAP Technical Seminars provides an ongoing resources for users to learn, engage, and reference. Our customers receive full access to all of our resources. Crafted by working FEA engineers for those working in the trenches encountering and solving problems everyday. New seminars are posted quarterly. Our support commitment to our customers is unparalleled. We consistently receive high marks for our fast, efficient, and deep FEMAP support provided via phone, email, and web. Along with our online seminars, we offer week-long training courses that receive stellar ratings. These courses are usually twice a year, and customized onsite training is always an option, feel free to inquire. 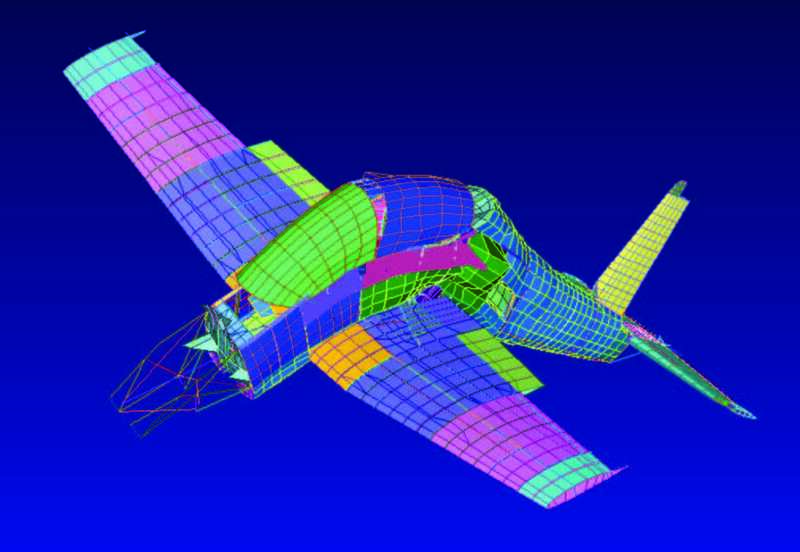 Using FEMAP helps ADS International move from virtual CAD prototypes to analysis and simulation. For nearly 30 years, ADS International (ADS) has been designing and building telescope, radio telescope and astronomic instruments, with two main product lines: adaptive optics and optics alignment systems. In a business in which each product is one of a kind, the company supports customers from preliminary study through execution, integration and final installation. 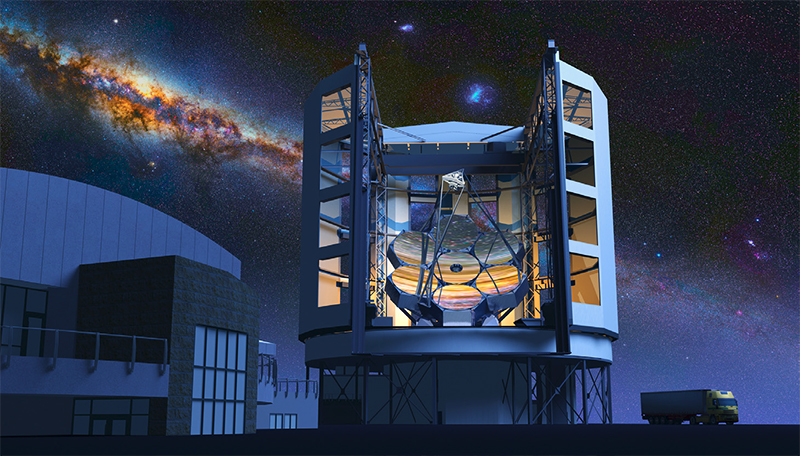 ADS customers are universities, research centers and large international observatories, including the European Southern Observatory (ESO). Delivering a roving science laboratory from Earth to the planet Mars requires meticulous planning and precision performance. You only have one chance to get it right; there’s no margin for error. 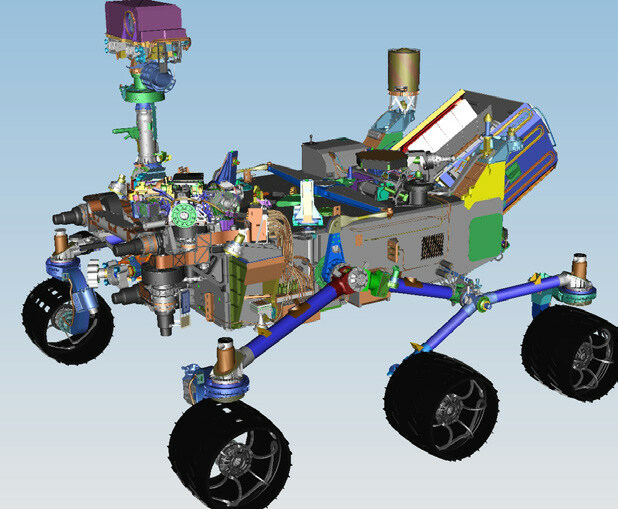 Engineers and scientists at NASA’s Jet Propulsion Laboratory (JPL) at the California Institute of Technology had to make crucial decisions thousands of times over a multi-year product development schedule to successfully land the Mars Rover “Curiosity” on the floor of Gale Crater on August 6, 2012. Aquila Engineering provides a wide range of services, including systems, avionics and structures engineering; technical writing; training; logistics support; computer-aided design (CAD); and project management. Many of its employees have more than 20 years of experience in the aircraft industry. One of the company’s customers is Pilatus Aircraft of Switzerland. Aquila Engineering operates under contract to the Swiss company as the Pilatus Australian design office. In this role, Aquila Engineering provides engineering and logistics support to various clients throughout Australia and overseas. Using many different finite element analysis (FEA) solvers but performing all pre- and post-processing with Femap. 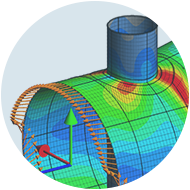 Predictive Engineering provides finite element analysis (FEA) support, training and consulting. It also is co-partners in Applied CAx, providing all of its high-quality FEA support. 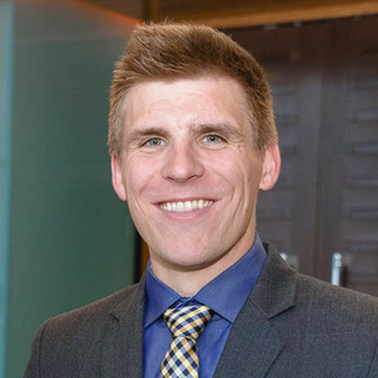 Adrian Jensen, PE, is a Senior Application Engineer for Applied CAx and a Senior Staff Engineer at Predictive Engineering. Adrian specializes in all things FEMAP: geometry modeling, meshing, analysis, post processing and programming with the FEMAP API. 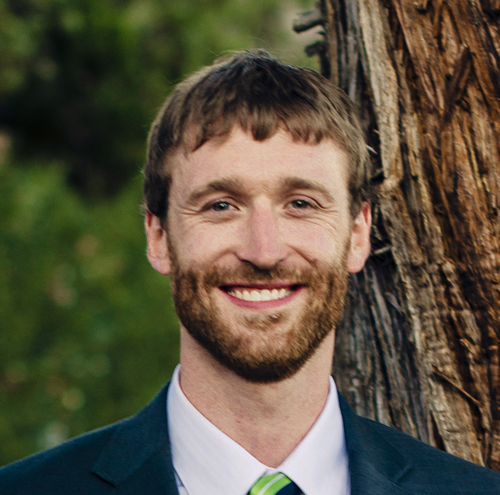 Brian Kolb EIT, is Staff Engineer at Predictive Engineering and FEMAP support provider for Applied CAx. Brian obtained his Master of Science in Mechanical Engineering focusing on Failure Analysis, Material Science, FEA, and design.